MF 504 is a polyester film laminated to aluminum foil. It has a smooth, glossy, and metallic appearance. 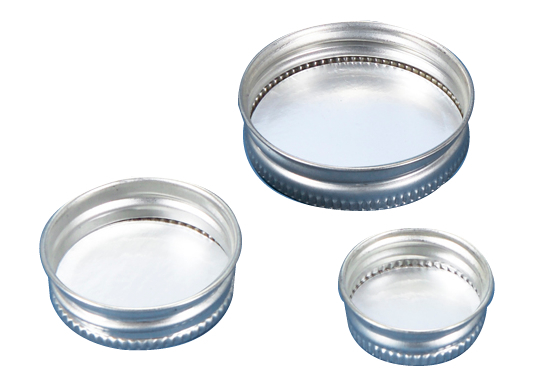 MF 504 lined caps are typically used for food applications and can be used for weak acid, weak alkaline products. Please note, caps are automatically included with the screw cap cans.